VANCOUVER, BC – Parallel 49 Brewing has announced the release of a new limited edition beer. This new brew is a hyper crushable IPA brewed with Sacch Trois yeast. It offers subtle melon and peach notes, a balanced malt body, and mild fruity citrus esters with hints of orange, lemon and tropical fruit. 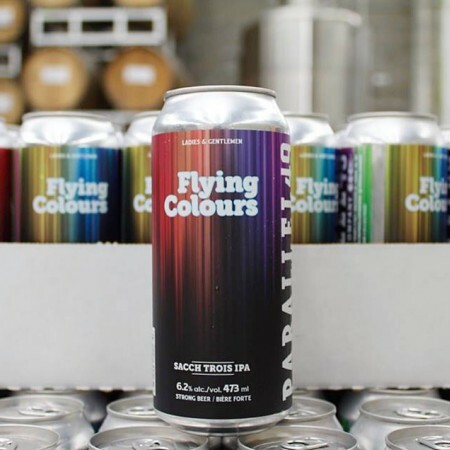 Flying Colours is available now in 4-packs of 473 ml cans at Parallel 49, and soon at select private liquor stores in British Columbia and Alberta.